The coach of Barça supports his player while the rayista denies it and the club from Madrid denies the facts and accuses the Brazilian player of "lying"
Controversy of allegedly racist content in the Liga Iberdrola of women's football, specifically in the Rayo Vallecano - Fútbol Club Barcelona . It was the 74th minute of the match and Barça won 0-4, a result that would be definitive, when there was a tangana between the Brazilian azulgrana Andressa Alves and the rayista Sheila . After a stomp of the Rayo player, Alves bitterly complained to the collegiate, but the haul was not there: before some apparent subsequent comment of the footballer of the Madrid team, the Barcelona player went straight for her and had to be placated by your teammates. The referee automatically took out the red card, and Andressa Alves protested the expulsion. 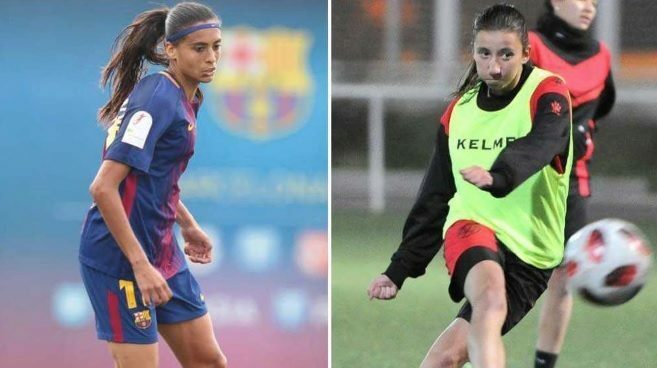 The explanation, on the part of Barça, was given later by the coach of Barcelona Femenino, Lluís Cortés , who assured the media that Sheila had directed "a racist insult" to his soccer player. "Andressa is a foreign player who receives a racist insult during the match and that is a very serious issue that we have to eradicate among all," the Barça manager told the media. Lluís Cortés , who said "no" to justify the reaction of the Brazilian international, pointed out that "people must understand that racist insults are very serious" and asked "to try together that this does not happen anymore". Hours later it was Rayo Vallecano's own footballer who responded on social networks: "I clarify what happened !!!! not going to stain my image when I never said racist insults to the Barça player .. I hope a club as Barça stop staining the image of a player who only wants to enjoy his dream that is playing football, Thank you. " Later, the rayista club issued a statement in which it denied "categorically" that there were "racist insults or insults", and did so "after carefully analyzing the images of the incident" which, according to Rayo's note, "occurs about one meter from the collegiate, which does not hear anything. " To top it all, the entity ensures that Alves went after the match "to the refereeing room to try to justify with an unacceptable lie an unjustifiable violent action against another player, lying about a subject as sensitive as racism". Why is the land no longer a safe place for Rafa Nadal? Mbappé will continue at PSG: "Better for Madrid if they have Zizou, but I will see their matches as an admirer"